*Pre-register before 5 January 2019 for FREE and avoid £10 entry fee to Trade Show. 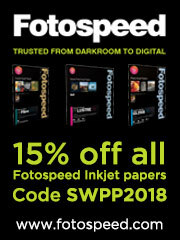 Earn DOUBLE Rewards when you place your product order before March 30th 2019 with the code SWPP2019. One use per customer. 3XM Reward points can be used as a cash discount against future orders or redeemed in part or full against the cost of a place at our Future of Photography Event in 2020. Recommended by The Societies. We have exclusive show offers that you won't find anywhere else - including exclusive discounts and cover options! All those that visit us will be entered into our free prize draw if you take a policy out with us or just get a quote. Extra 10% offered on your old gear when you trade up to a new camera or lens. Lowest UK prices on Fujifilm cameras and lenses. See our stand for more details. Enjoy huge savings of up to 50% at this years' Societies Convention. See the Click Props stand for more details. 12 months 0% finance available on background packages, subject to terms and status. Each Avante is manufactured in the UK by our master craftsmen, making it the perfect luxury album to showcase your photography. Choose from Nappa Leather, Acrylic cover or Faux leather wrap. Come and see us on the Dunns Imaging stand for your chance to win! Flex Schools - For the Mobile Generation. Free sign up! Flex Schools products. Plus! Sign up for Flex Schools during the convention for no fee! (t's and c's apply) . See the Dunns Imaging stand for more details! Kick-start your new year with an incredible 50% discount on all Studio Samples! Come and visit us on stands 88-90 to receive your exclusive discount code. Receive a £500 discount when you order the full Turnkey Version of Everybooth Original or Everybooth Accordion at The Societies 2019 Convention Trade Show. Offer ends 19/01/19. Visit us at The Societies' 2019 Convention and get 12 months cover for the price of 10! Terms and conditions apply, see our stand for more details. Save up to 50% in our January sale. Receive fantastic discounts on Wall Products, sample Bellissimo Albums and more. Pick up a January Sale leaflet from the Loxley Colour stand for full details. PermaJet will be offering show discounts of 20% off of Digital Photo, FB Baryta, Fine Art Media and more. 10% off Fujifilm DX100 for The Societies of Photographers Members - Please visit the Photomart stand for a demo and more information. The Royal Photographic Society is offering all attendees a 20 per cent discount on their first years membership which includes the monthly award winning RPS journal, free entry to exhibitions at our new premises in Bristol, discounts on workshops and distinction applications, regional events and much more. 40% off your first year of ShootProof! Get your sample album booked for £50. Show special offers on regular albums with lucrative discounts. It’s time to take your family portraits seriously and save 10% on the Award Winning Elinchrom D-Lite RX 4/4 Set*. Only £625.50 at The Societies 2019 Convention - See our stand for more details. Visit us at Convention to receive £20 off Professional membership with The Societies of Photographers. Must end at the show. Voucher expires 19/01/2019. £1 for a 60-day trial or let us build the website for you for just £90, including building the website, 6 months standard package and a free domain name for a year. Limited time offer only available at The Societies 2019 Convention. 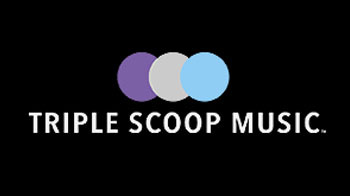 Triple Scoop Music is the acclaimed music licensing service loved by the world’s leading photographers, filmmakers and creative businesses. Sign up for your free account and get unlimited access to full-length preview tracks, custom playlists and much more. Use the special discount code Societies during the next 30 days and save 20% on your Unlimited Music Licensing Subscription! Convention testimonials Nicola Hutchison: feeling rather tender after @TheSocieties convention but wow, buzzing with ideas and inspiration!